The pH responsive properties of poly[2-(methacryloyloxy)ethyl trimethylammonium chloride] (PMETAC) brushes have been manifested in an experiment carried out by Liu et al. (2017). 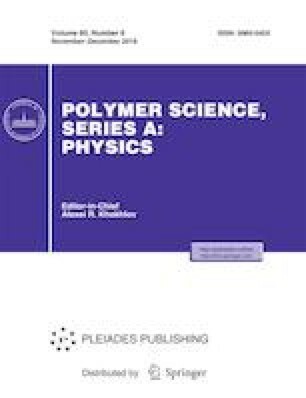 In this paper, we have employed a molecular theory to study the pH response of strong polyelectrolyte brushes (SPBs), by considering both strong polyelectrolyte-OH− (P–O) hydrogen bonds and polyelectrolyte-counterions (P–C) bonds and their explicit coupling to the SPB conformation. It is found that, when at lower salt concentrations, the combination of P–O hydrogen bonds and P–C bonds results in the pH-responsive properties of a SPB, which are governed by the formation of interchain hydrogen bonds, while at higher salt concentrations, the pH response of the SPB is suppressed by the effect of salt ions. This finding agrees well with the experimental observation. We also investigate the OH−-mediated bridging effect on the structure of a SPB. Based on this theoretical perspective, we predict that the pH response of a SPB will depend on the identity of salt, and the OH−-mediated bridging interactions can induce a vertically phase segregation in a SPB. We would like to thank Dr. Chun-Lai Ren for her valuable advices and suggestions. This work was supported by Chinese National Science Foundation through grants no. 21764015, and Xinjiang Natural Science Foundation no. 2016D01C380.